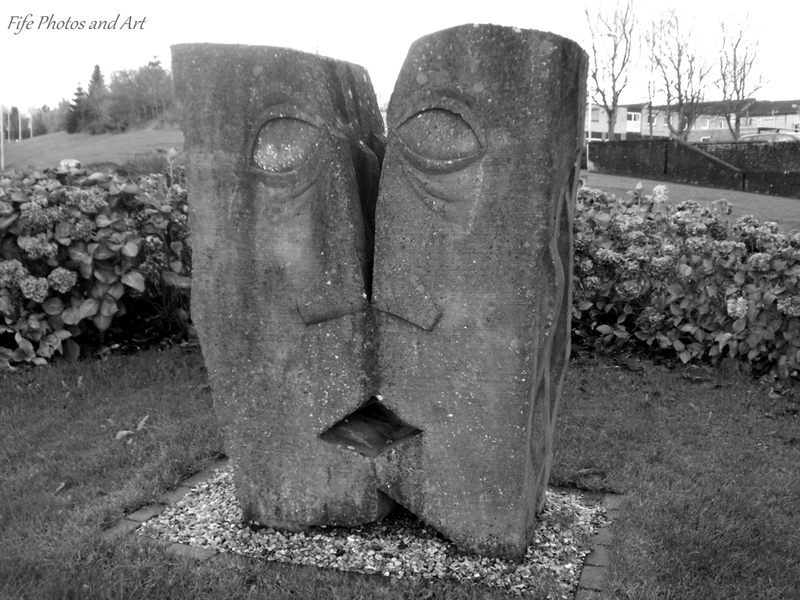 This entry was posted in General, Glenrothes Town Public Art, Thursday Haiku and tagged abstract art, black & white photography, Fife, Glenrothes, Scotland, sculptures, Thursday Haiku. Bookmark the permalink. That is one interesting work of art! I like your Haiku Fife! 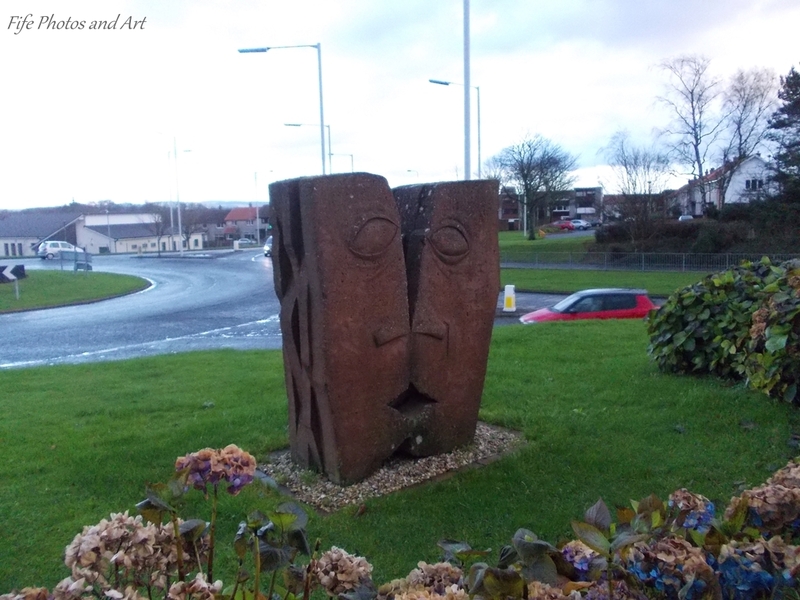 Thank you Lynz 🙂 It is one of many similar types of art that are dotted in and around Glenrothes! great combination of Haiku and photography!! They are one of my favourites. 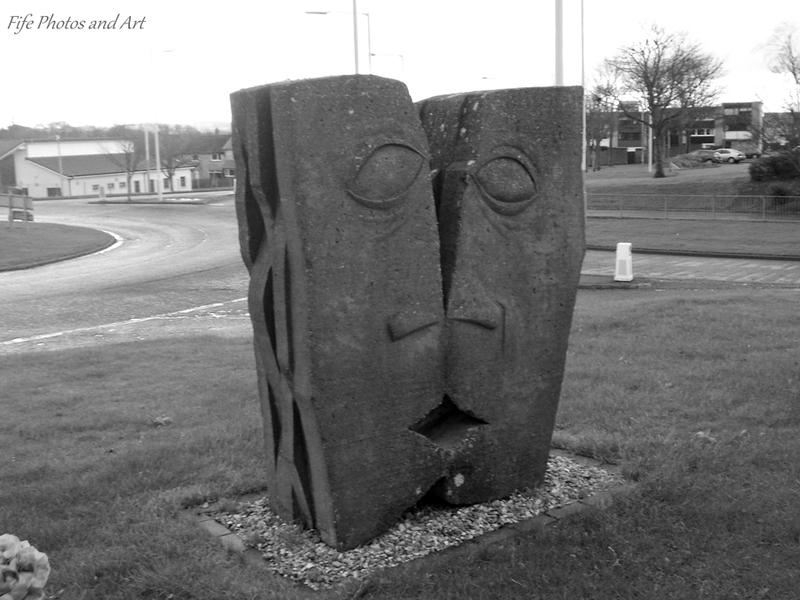 I think my least favourite Glenrothes sculpture is the group of fake “standing stones” on the roundabout between Glenrothes and Falkland (I think that’s where they are anyway) because they look like petrified mattresses. 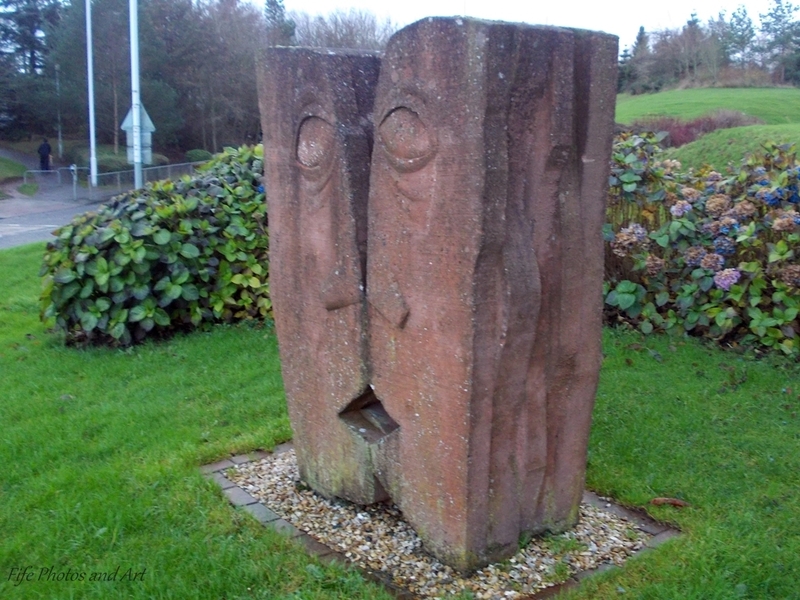 That’s the other thing that annoys me about them: that area has plenty of genuine standing stones around so why lob some fake ones on a roundabout? Plus it obscures vision when driving. Can you tell I hate them? Thanks Ann 🙂 They are fairly unusual, you’ll get to see a few more of the Glenrothes art in the next few months! Just a haiku for fun, Andy. I think you’ll enjoy my Oddball Photo Challenge entry for Sunday and you’ll know why when you see it. Thanks Millie 🙂 I think in this particular case I prefer the colour version, which is fairly unusual for me!